This easy project uses only three ingredients: liquid suspension soap base, basil powder, and basil fragrance oil. The suspension soap base has special attributes that enable the powder to stay suspended in the product. The basil powder is thought by homeopathic practitioners to have beneficial skin care properties that add a little something extra to this soap. The basil fragrance further enhances the basil attributes. Customers will love this product in the kitchen or using it right after gardening! You Save $37.25 by purchasing this kit rather than buying the items separately. "Basil Liquid Hand Soap Kit"
COMMENTS: WOW!!!!!! This made an incredible amount of product. The price is perfect and Wholly Moley What an amazing smell! Leaves the hands soft. Strong smell, not sweet. In my opinion, it smells like a man. The scent lasts for a long time after rinsing. Nice big bubbles. I totally recommend this one, you will not be disappointed. Thank You WSP, another great and easy project! COMMENTS: This kit was so easy to make. The basil leaves hands soft. 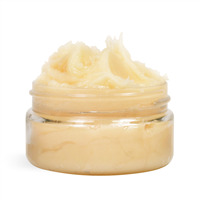 It lathers great and very nice to use. Kit makes a lot of product. COMMENTS: Smells amazing. Makes a great product! COMMENTS: The fragrance in this product is VERY strong, not sweet. COMMENTS: Absolutely love this hand soap, my customers love it too!!! COMMENTS: I was really surprised I liked this as well as I did and boy is it popular especially with men!!! I actually added a little lemon and coffee along with this to make a great kitchen soap!!! "could you omit the basil in this and do vanilla bean noel fragrance instead of basil? If so, how much fragrance oil would you recommend?" Staff Answer If substituting the Vanilla Bean Noel fragrance oil for the Basil, you would use the same amount as listed in the recipe. "What quantity of liquid soap does this produce? " 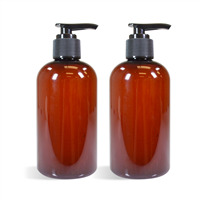 Staff Answer This kit makes 1 gallon of liquid hand soap, enough to fill 13-8oz bottles. "Is this considered anti bacterial hand soap and if not what can be added to make it an anti bacterial hand soap???" Staff Answer No, this soap is not anti-bacterial. Any product labeled as anti-bacterial is considered a Drug and must be tested and approved before being sold. We recommend researching this matter.